My collection of NYX products is slowly growing, each trip to Next at Shoreham and I am slowly trying out the different products they have to offer. The first NYX cosmetics I tried was the Butter Glosses and they were amazing, I definitely want to get more of those and the Creme Brulee shade is on my Christmas list. 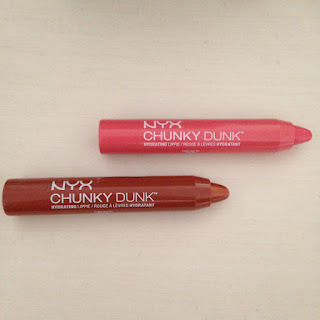 So this time I decided to check out NYXs' Chunky Dunk Hydrating Lippie, as I saw quite a few good reviews online from other bloggers and they looked quite cool. Plus I find the name really funny and original. 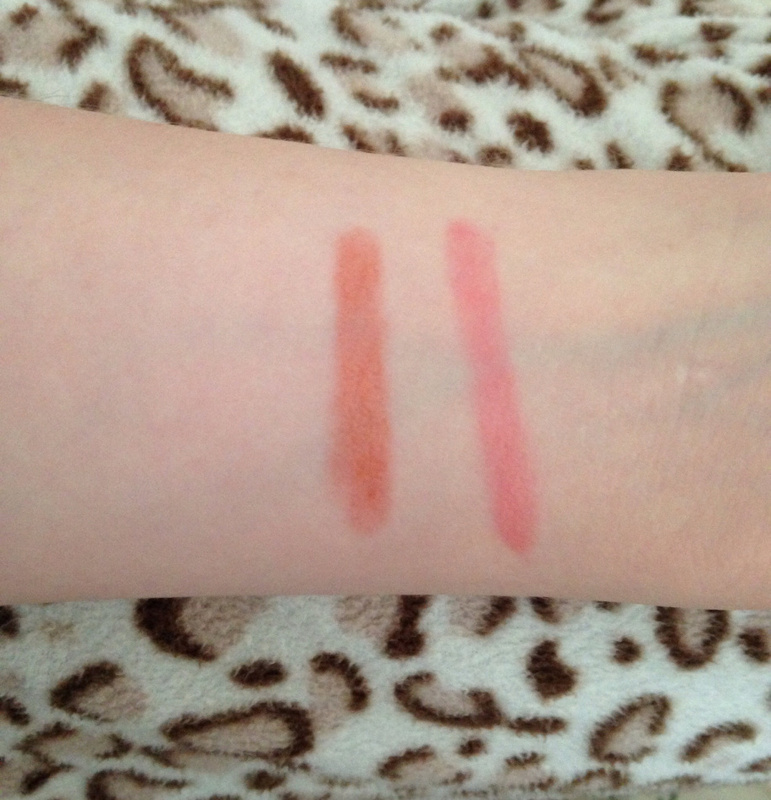 I went for Happy Buddha and Pink Bikini, as I liked how they looked when I tried them on my arm in the shop. Especially since it is winter I wanted lip products that help hydrate my lips, which was another selling point of these. I quite like this shade and it is a nice brown/orange colour. 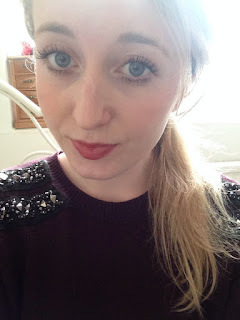 It is great for Autumn/Winter as brown colours are really popular this time of the year, and I have seen so many blog posts on brown and burgundy shades of lipstick/lip glosses/lip crayons. Want to add a nice hint of pink to your lips? Then look no further this is perfect for doing just that, it adds a subtle colour of pink to draw attention! 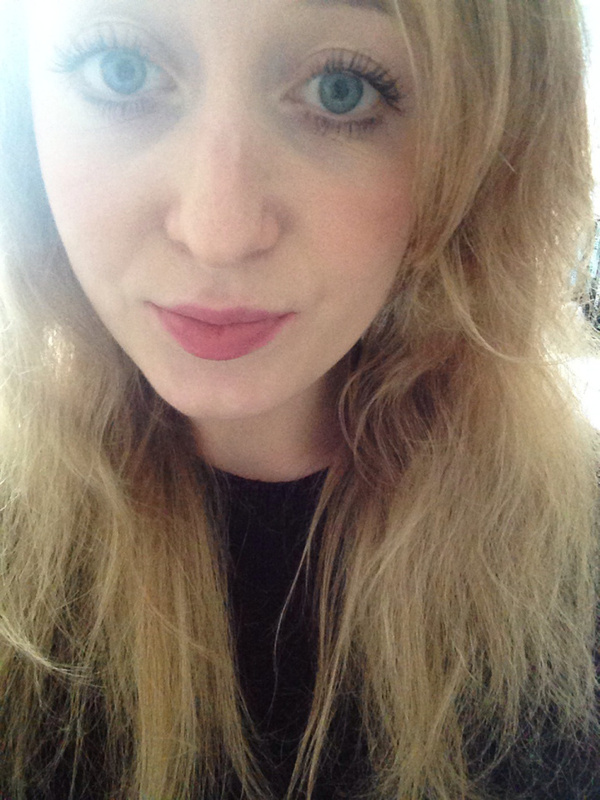 It is more of a daytime shade because I personally don't think it would stand out that much on a night out. It is a nice pink colour but it does look slightly like a Barbie pink sometimes, which isn't exactly my cup of tea. It is a bit of a hit or miss with Pink Bikini but it hasn't put me off trying other NYX lip products. NYX Chunky Dunk Hydrating Lippie costs £6, which isn't bad for lip products but I think their other lip products are probably slightly better. Plus I don't like the fact that they only have a generic smell and not a nice scent. I think my collection of Chunky Dunk Hydrating Lippies will end here unfortunately as they are not for me and not the best lip crayons I have bought. I think their matte lipsticks are next on my to try list and maybe one of their eyeshadow palettes... I also cannot wait to get my hands on more of their Butter Lip Glosses as they are literally the best thing ever.